Home » Uncategorized » Why Do We Build the Way That We Do? The Data-Driven Design and Construction (3D + C) blog will feature and, where possible, follow and review, key industry events related to the subject of my book. 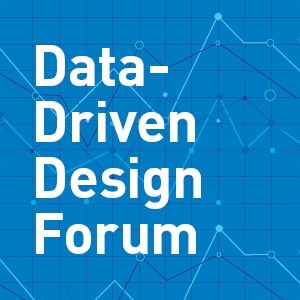 On December 10, 2013 AIA Seattle will be hosting the one-day Data-Driven Design Forum featuring presentations, case studies, and panel discussions. Based on the invited list of speakers, the focus of the forum does not appear to be directly focused on data, per se, or even big data, but rather on the benefits for firms to invest in applied research and the results derived from evidence-based design decisions. offer suggestions for firms to increase their competitive advantage by leveraging their research insights. While I am currently starting research for my book, Data-Driven Design and Construction, this blog will raise as many questions as it tries answers. That seems to be the case for this forum as well. How important is hard, researched data to a client’s decision-making process? How can you assure that your design strategies will pay off in terms of increased productivity, higher-performance, or better health and well-being? How can firms best access and utilize existing research data? How can we benefit from analyzing performance data? Where does the data come from and where can an ordinary design firm access it? What are the most interesting industry problems that require the use of data to address? What kind of firm commitment does it take to really do this? For the speaker bios go here. For the play-by-play event schedule go here. To register for the event go here. Alder Commons 1310 NE 40th St Seattle, WA USA.